Working women are always looking forward to showcasing their style in modest yet chic ways. They want something elegant for themselves to carry on their everyday working life. 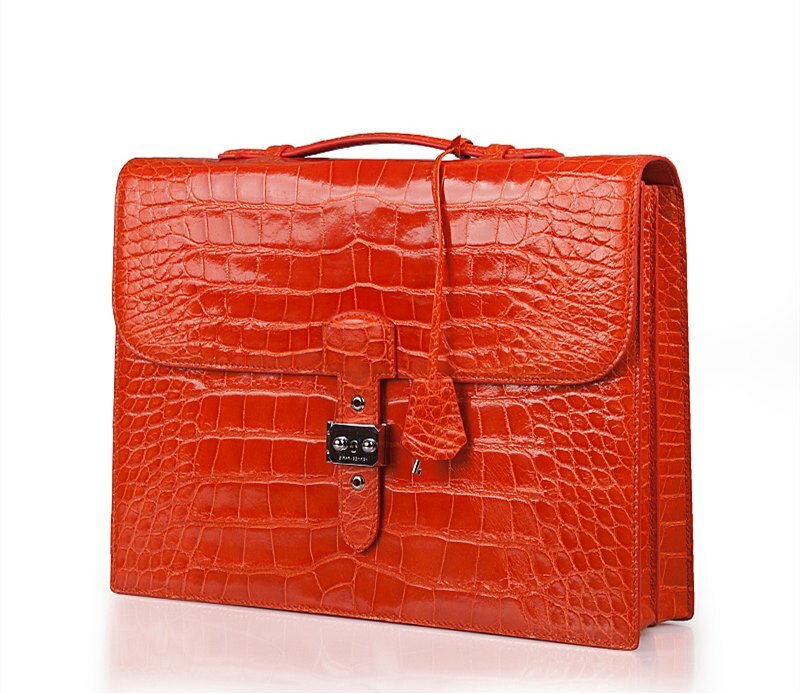 Here I am bringing you some top elegant and amazing alligator work bags from Brucegao, a company named for quality. You can carry these bags during work meetings and even on special dinners with colleagues. What Does BRUCEGAO Offer for Working Women? Well, BRUCEGAO is the company that offers bags, shoes, and other stuff made with animal skins for men and women. Moreover, if we specifically talk about what they have for working women, they have got classic alligator bags for working women that are offered in a very elegant style. What Are BRUCEGAO Bags for Working Women Specialties? First of all, BRUCEGAO offers working women bags for 2019 specially made by using original alligator skin. This exotic skin is extracted from the farms where alligators are breaded and raised. Moreover, the skin is used in original form without processing it with chemicals that make Alligator bags by Brucegao best. Alligator is a strong animal and he has very hard skin. Their skins don’t damage easily. BRUCEGAO uses original alligator skin that makes working women bags for 2019 reliable. You can use these bags from years to years and they will not get damaged. Also, stuff inside the bag will also remain safe from dirt and water even if you are carrying it in rain. BRUCEGAO bags are available in endless varieties of color and style. You will never find such a huge collection from any brand other than Brucegao for alligator bags. They are made in compact sizes. However, as the alligator skin is stretchable from inside, hence you can carry huge stuff in it without a problem. Stylish working women bags by Brucegao are made by keeping two things in mind. One is that you are working lady hence the bag should have enough space to carry official stuff. Second thing is that you are women and looking stylish is your childhood right. This is the reason, alligator bags by Brucegao bags are so particle to take every day and stylish to carry on special events. Not just Alligator but bags made with animal skins are always costly. However, it is not when you are purchasing bags from BRUCEGAO. They offer quite moderate prices to their customers so that everyone can look stylish. If you want a classy working bag for yourself, visit Brucegao website now, don’t cry when the collection is finished.